Captain Eleftherios Hantzos, of 37 metre Pandion, reveals how to make the most of a whistle-stop gastronomic and scenic tour of this classic Italian cruising ground 1. Naples Meet Pandion in Naples and within hours arrive at the picturesque island of Capri, known for its rugged landscape and clear blue waters. In the evening dine under more than 130 lemon trees at Da Paolino, an amazing rustic Mediterranean restaurant, making sure you save room for the dessert buffet. Meet Pandion in Naples and within hours arrive at the picturesque island of Capri, known for its rugged landscape and clear blue waters. In the evening dine under more than 130 lemon trees at Da Paolino, an amazing rustic Mediterranean restaurant, making sure you save room for the dessert buffet. 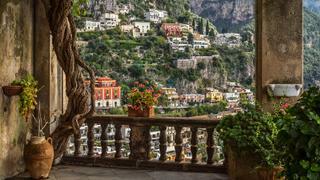 After a spot of breakfast, explore the pebbled beaches of Positano or venture to the local markets and cafés that line the streets of the town. There are plenty of sightseeing opportunities, such as a visit to the Chiesa di Santa Maria Assunta. Watch the sunset while you sip your favourite cocktail at the Le Sirenuse bar before dining at the casual bistro-styled restaurant Max. Enjoy breakfast in Ravello bay, which offers stunning views of the coast, before tendering in to explore the small, peaceful town. For dinner head to the panoramic terrace at the Belvedere Restaurant at Belmond Hotel Caruso. 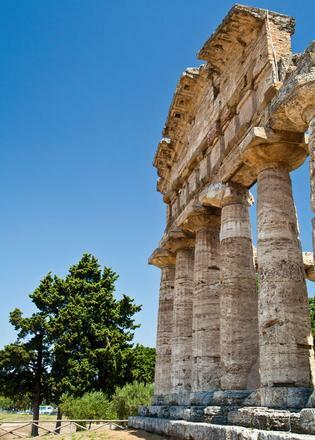 Paestum is well known for its Greek ruins and ancient architecture. Visit the ruins of this ancient city that was founded in around 600 BC. That night a themed dinner will be arranged so that you can truly feel the Italian style on board. Awake in Ischia, one of the best wine regions to visit by luxury yacht. It's the largest volcanic island in the Gulf of Naples and offers a spectacular combination of sprawling green gardens, beautiful vineyards and picturesque towns lined with restaurants. Visit the island’s famous vineyards to sample the seven types of wine produced in Ischia before dining at Alberto Restaurant, which stretches out into the sea. Guests can either stop in Capri on the way back or head directly to Naples. There is plenty to see in the city such as the Royal Palace and Castel Nuovo. Guests can enjoy a final sun-soaked lunch on board before departing. Pandion is managed for charter with IYC and is be available in Italy this summer. 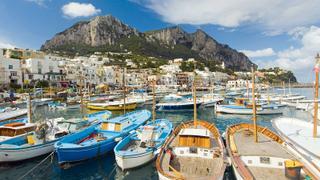 Guests can either stop in Capri on the way back or head directly to Naples. There is plenty to see in the city such as the Royal Palace and Castel Nuovo. Guests can enjoy a final sun-soaked lunch on board before departing. 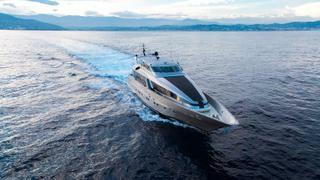 Pandion is managed for charter with IYC and is be available in Italy this summer.